Do riders need to be fit? Riding is a sport and as equestrians we need to look at ourselves as athletes. Most riders are aware of how hard it is to enjoy riding a horse that is stiff, crooked, weak, and unbalanced, but have you ever stopped to think how difficult it is for a horse to be comfortable carrying a rider who is stiff, crooked, weak, and unbalanced? To connect to the horse’s movement, a rider needs to develop a balanced and supple seat. When riding in balance, the rider is able to move his arms and legs independently and is able to relax and connect to the horse’s movement. As a rider becomes more aware of their own body, they can work towards controlling their body to effectively connect to their horse’s movement. To be a successful riding athlete, one needs to be fit, balanced, supple, and coordinated. How can a rider’s better physical condition enhance their riding? Rider’s that are physically fit have better balance, coordination, physical stamina, flexibility, and alignment. These criteria help the rider to have a more secure seat, better coordination for effective aids, and help with injury protection. Strong abdominanls help to stabilize the core trunk of the body for stability and safety and flexibility opens up the hips so that the core body is able to move quietly with the horse. An unbalanced rider affects the balance of the horse. Coordination fitness training can help the rider be more aware of their body parts and to facilitate quick accurate movements which are required to execute aids in a timely fashion. Strong, flexible muscles help to prevent injuries when falling from the horse. A more fit rider knows that they will be able to follow the horse’s movement and this leads to a more relaxed and confident rider. It is a well-accepted concept that riders can really improve their riding by training off their horse utilizing a rider specific fitness program. Compared to many pieces of exercise equipment, rider fitness exercise equipment is inexpensive. The exercise equipment includes: balance boards, Balimo chairs, Bodyblades, medicine balls, exercise balls, Bosu balls, hula-hoops and more. Equestrians should not have to join a gym to do the exercises. 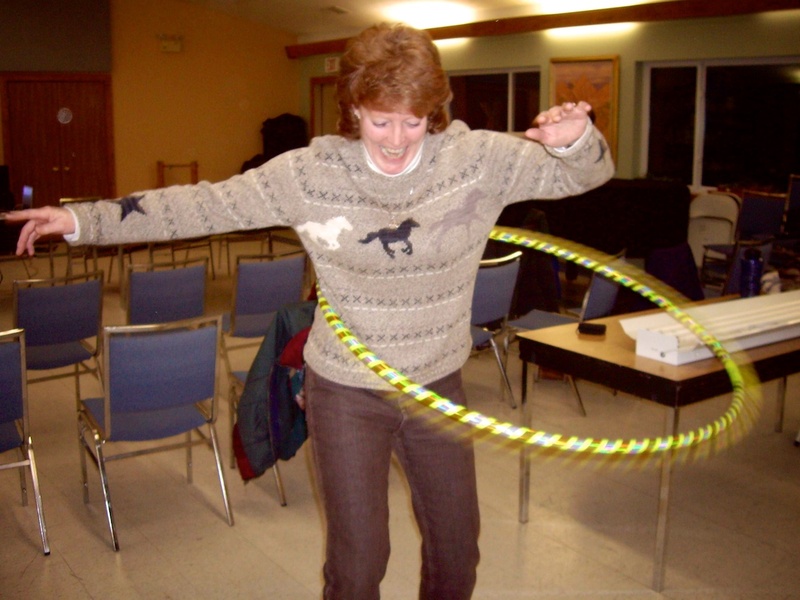 The equipment used in the fitness program can be used at the barn, at a show, or at home. The exercises are so varied and fun that you will look forward to doing them. Part of the program is to educate riders on the importance of warming-up, stretching, and cooling-down to help accomplish safe workouts. When working out, the rider needs to be as safe as possible by performing the exercises in a safe manner. What type of workouts are best for riders? Balanced workout programs that are designed for riders should include aerobic fitness (cardio), strength (weight) training, core exercises, balance training, flexibility and stretching (yoga,), and coordination (brain gym) training. Karen’s fitness programs are designed around the following recognized training principles. The fitness programs focus on exercises using the widely accepted cross-training principle; athletes doing exercises and activities other than those performed in their sport. Cross-training uses different modes of training to develop both your muscular fitness as well as your aerobic stamina. This method of training has proven to be effective in improving rider fitness and performance and has been extensively incorporated into many Olympic Equestrian fitness programs. What are some of the benefits of Cross-Training? 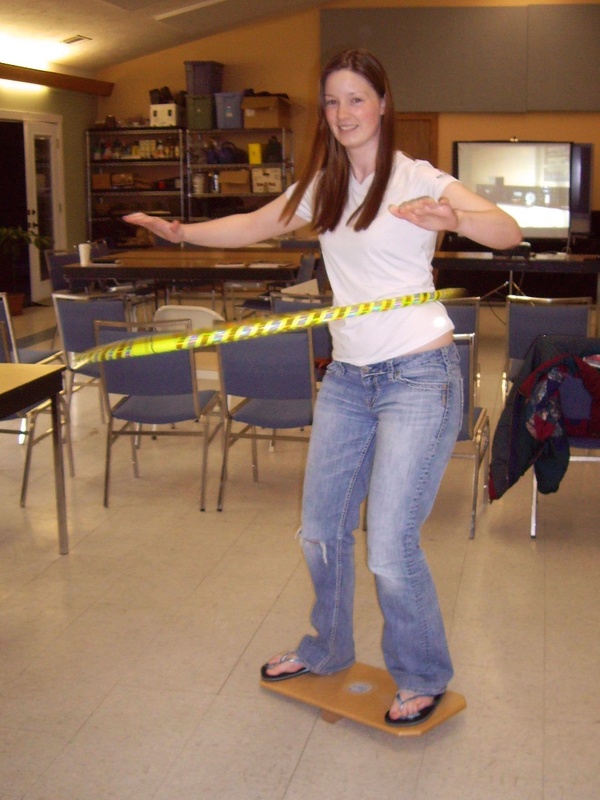 By doing different activities, the body is put into many different positions requiring the body to maintain balance. Different skill sets are used in different ways that help the brain to develop new and different reflex reactions. During cross-training the cumulative work load for the muscles in a certain activity are spread over additional muscles and joints. Individuals are able to exercise for longer periods and harder workouts without over-taxing particular muscle groups. This use of different muscle groups in different patterns helps to produce a higher level of all around conditioning. Because cross-training involves many different activities, mental fatigue due to boredom is reduced. Injured athletes are able to continue workouts and thereby reduce the degree of fitness that may be lost. The specificity principle asserts that the best way to develop physical fitness for your sport is to train the energy systems and muscles as closely as possible to the way they are used in your sport. In other words, to be the most effective, cross–training exercises should mimic the sport as much as possible. Because our sport is unique, our cross-training program must also be unique. Riders need to participate in exercises that develop or improve the same criteria that are used in riding. Coaches take riding-specific exercises and then overload them so that the exercises are harder than what we experience in our sport so that the sport feels easy in comparison. To improve fitness levels, athletes must do more than what their bodies are used to doing. When more is demanded, within reason, the body adapts to the increased demand. You can apply overload in duration, intensity, or both. Overloading helps ensure that the riders will develop mental and physical strength – and will ensure that the rider will not outgrow the exercises. asking our riders to perform their exercises using a challenging piece of equipment like a medicine ball or balance board. The exercises are designed to not only help riders improve their imperfections – but to also show them where their imperfections are. We accomplish this by helping our riders either see their imperfections (so they know what to solve) or feel their imperfections (so they know what to fix). The exercises must help us see and feel our imperfections so we know what to improve. ➢ Is it important to land with equal weight in our stirrups? ➢ Is it important to give equal and independent leg aids? ➢ Jump up and down 3 times and check to see if you are landing equally? ➢ Am I landing equally? If not, we can now see what we need to do to solve it and feel the imbalance and then we know what to do to fix it. What are some of the different workout scenarios that riders can use to get fit? Circuit training is fast paced and ever-changing… two things that can help you stay interested and coming back for more. The intensity of each round can easily be made harder or easier. Riders can work intensely because the circuit can alter from upper body to lower body. Boot camps are fast paced and riders are outdoors (where riders like to be). The arena is a good place to start. The exercises can use the topography of the land, the barn itself and even tack (i.e. lead line as a jump rope). For the equestrian challenges – Each rider will receive a PR – a personal record that they can work hard to improve in the future. Challenges can be done in the barn isle, arena, outside or any other area by the barn. They’re also easy to repeat at home. Improve stamina, core strength, etc. One-on-one training to address a rider’s individual problem areas. It doesn’t matter if you’re a weekend warrior or a professional training and showing in any English or Western discipline, Karen’s fitness clinics and workshops, based on former USET Coach Daniel Stewart’s Ride-Right program, can help improve your riding performance and success by teaching you a series of un-mounted exercises designed to improve your riding pleasure and performance. Karen is excited to travel to your facility or club to demonstrate and lead riders individually or as groups in some really fun and challenging exercises. Past clinic and workshop participants have had so much fun and really felt that they benefited from the workout experiences. Many of the participants have kept in touch and have commented on how their riding has improved. Let’s get in shape to ride so that we can have even more enjoyment with our horses. All of the exercise programs are really fun and motivating – especially when done with a group of friends or riding mates. When booking your clinics or workshops, Karen has a variety of different fitness style workshops to choose from.